Edit it later as you follow along with this site. When you first glance at one of these resumes they might look simple, but your qualifications just pop right out. That is what you are looking for in a resume. 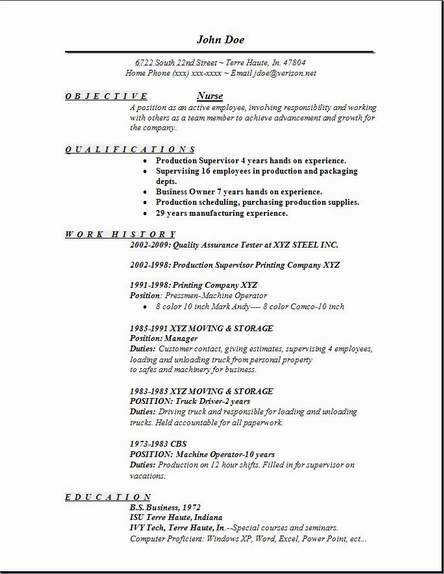 After all, you want results, and once you edit this resume with your own information, you will see a big difference in the presentation. I hope you find these three resume useful. You can edit and change to your hearts content until you are satisfied.These are really examples for you to use to get an idea from and change up any way you like. Once you add it, then tell your friends about it. 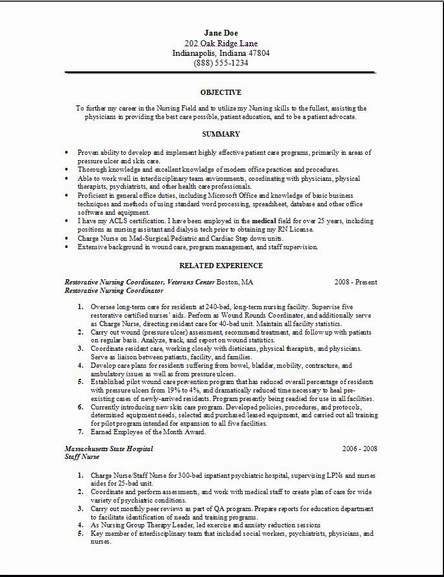 Edit your nurse resume as you follow along with this site. A nurse's general duty would be to care for people who are injured or sick. They check the patient's vitals and keep detailed reports on a daily basis. They also help to administer test to help the doctor decide why they are sick. Nurses can specialize in a certain field and only work with children or infants. Or they can also concentrate their efforts helping doctors in a surgery setting. Still other nurses may work in emergency rooms or maybe intensive care units of the hospital. Nurses also work in doctors offices doing lab work and office duties. Some nurse professions even go to the patient's home to help them when they are sick. Nurse practitioners have more advanced schooling and training and are able to prescribe medication when needed. The nursing profession can be very stressful at times as they most often have many patients to look after at the same time. A very busy and demanding job. Office nurses are more likely to work normal hours or day shift. If they are working in a hospital setting usually they will have to work nights, holidays and weekends. It will take you about 2 years to get an associates degree in nursing. Quite a few opportunities are only offered to nurses with a bachelor's degree, so that will take you 4 years. You will also have to pass the final exam in order to get your nursing license. Keeping current status is important, so more classes every couple of years is normal. Average pay should you decide to become a nurse should be somewhere around $68,000. For registered nurses the job opportunities look good in the future looking ahead. 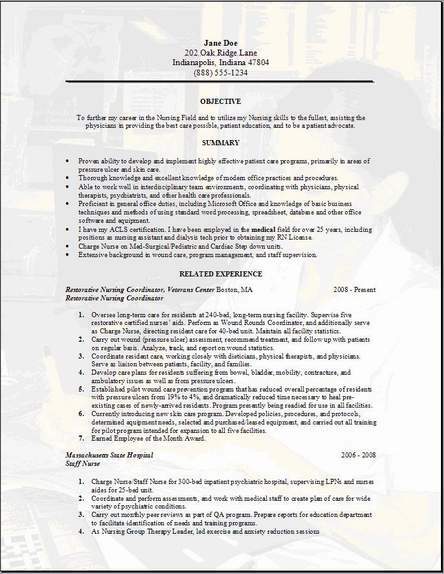 The nurse resume template #3 above has a picture added. If you don't like it then you have the option of changing it to something better or just delete the picture. Some people like the background, I know I do. Your employer might like it to. It's a gamble. Go through the information until you find the best format. Then edit all day and have your friends look at it. Keep editing till you get what you want for the end result. Wishing you luck. Please tell your friends where you found your bsc nursing resume format free download.